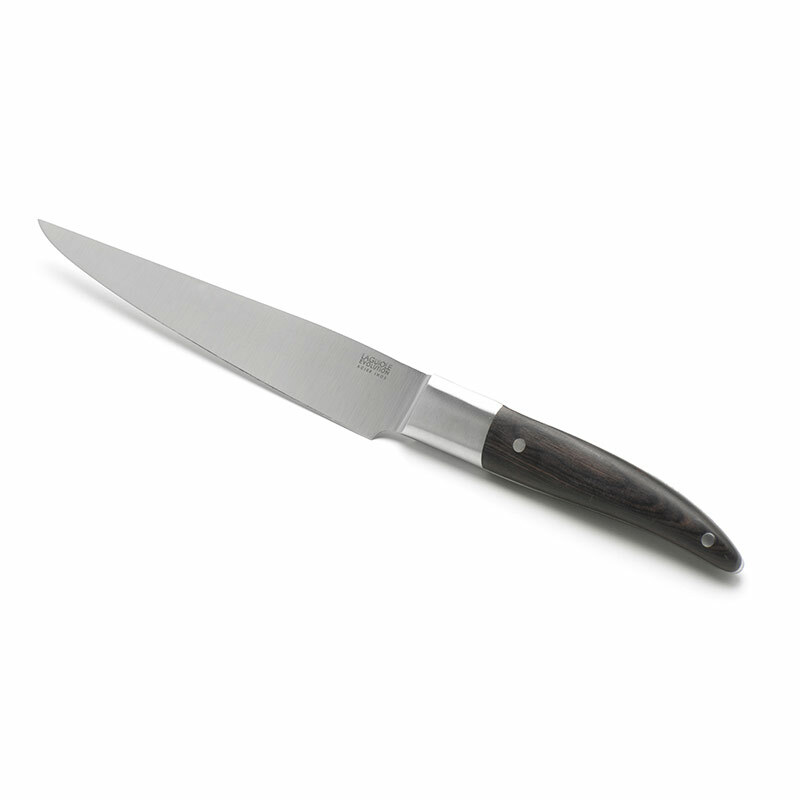 This kitchen knife has been manufactured with a full tang forged blade, which ensures great solidity. 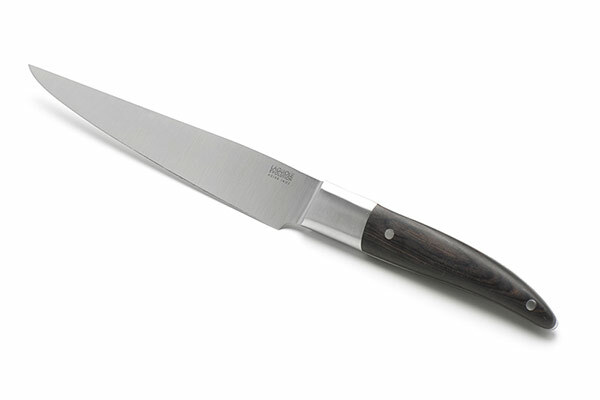 The pointed blade of this knife is very slender for an outstanding sharpness. The solid mirror polish bolster gives it a special look. 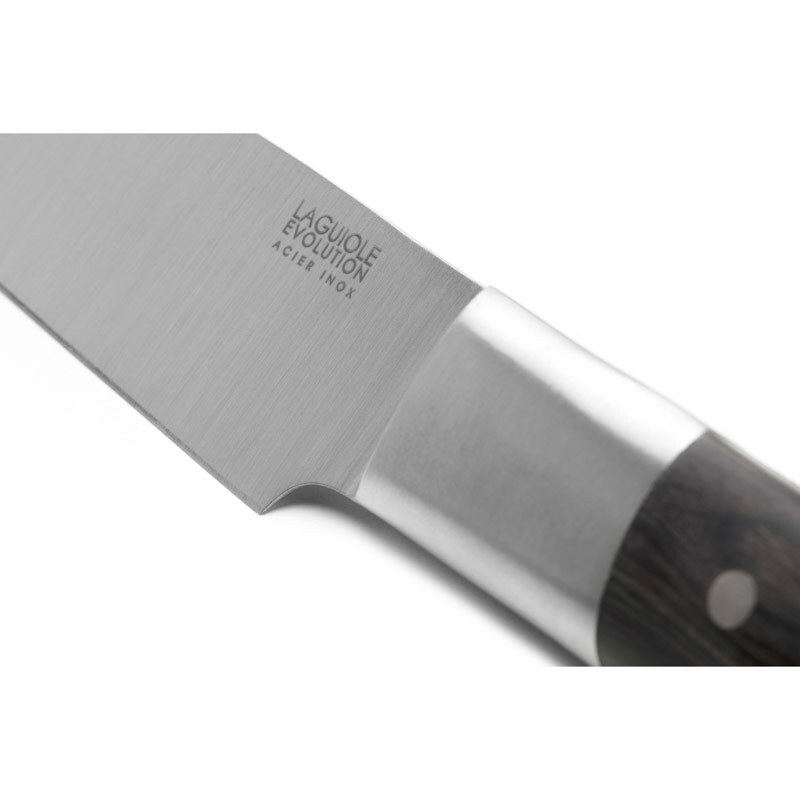 This Laguiole Expression professional kitchen presents a perfect balance between robustness and design while ensuring an unrivalled quality of cut. 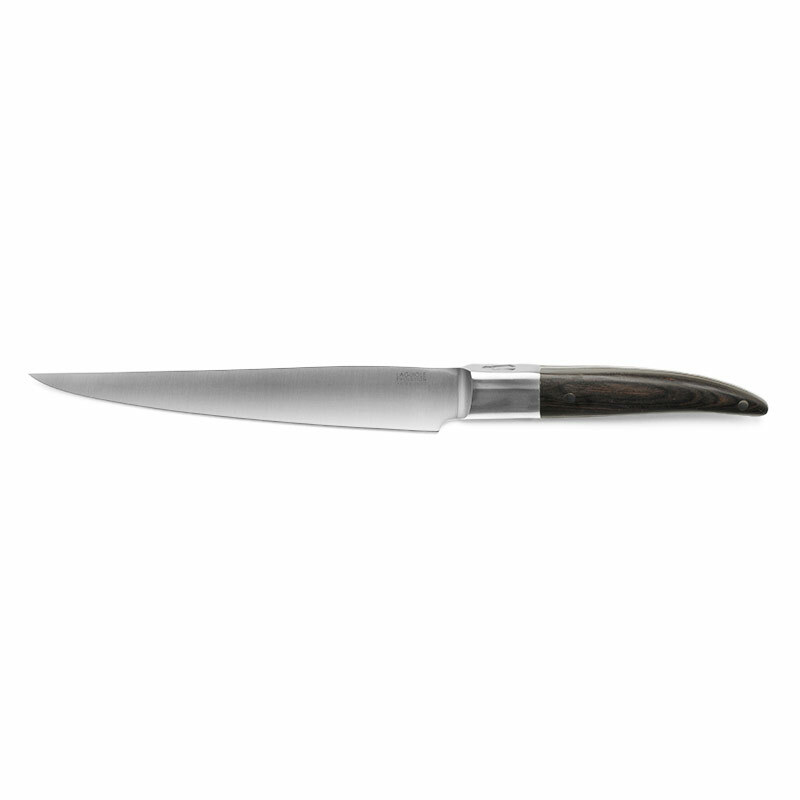 Inspired by the graphic lines of the famous Laguiole, this carving knife stands out thanks to its slender and contemporary look. Very elegant, its modern style takes over the ergonomic and original design of the Laguiole knives whose handle perfectly sits in the palm of your hand. The rivets are unique and reflect of the signature of an authentic and quality cutlery. The stainless steel of the Laguiole Evolution kitchen knife can be customised : a personal writing up to 30 characters can be added on the blade thanks to laser engraving. A very nice gift to make to every cooking enthusiast!